Opportunity lost: Has Uganda paid a price for not embracing GMOs, biotechnology? Ugandan researchers have been successful at developing robust hybrid bananas through conventional breeding techniques. Yet they see a strong need to adopt GM varieties of the fruit that is so critical to the nation. 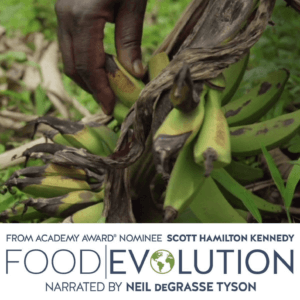 They argue that using conventional breeding to develop hybrid cooking bananas is a tedious affair, taking more than half a dozen years to get them ready for market. And while the conventional hybrids offer the promise of high yields, they lack the critical pest and disease resistance offered by GM bananas. According to statistical information published in ResearchGate a social networking site for scientists, bananas and plantains are an important world food security crop for the livelihood of millions of smallholder farmers in tropical countries. The crops are grown in more than 120 countries with an annual world production of around 104 million tons. 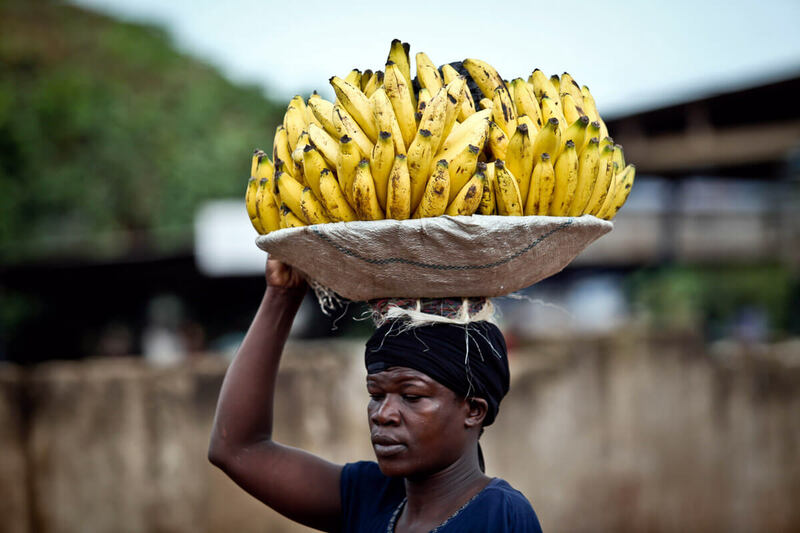 East Africa is the largest producing and consuming region of bananas in Africa, with Uganda being the world’s second leading producer behind India. 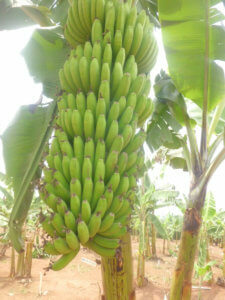 It is estimated that 75 percent of Ugandan farming households grow this crop on about 1.5 million hectares. 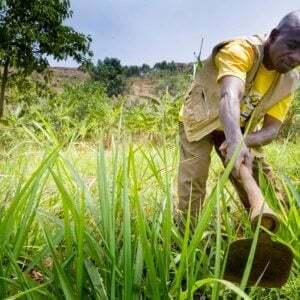 Despite the crop’s importance as food security, its productivity has been declining over time, particularly in central Uganda where crops have been ravaged by pests and diseases. A nationwide rural appraisal conducted by Uganda’s scientists engaged in banana breeding in June 1991 revealed that the leading factors responsible for the decline in productivity of the East African highland cooking bananas include pests such as banana weevil and nematodes, diseases such as black Sigatoka, banana bacterial wilt, decline in soil fertility and low genetic diversity. In order to reverse this trend Uganda’s scientists at the National Agricultural Research Laboratories jointly with colleagues from International Institute of Tropical Agriculture (IITA) initiated a breeding program in 1994 using a participatory plant breeding approach. The program has developed several new hybrid varieties. They have focused on increasing the yield of crop by doubling the size of the bunch to help solve the challenge of food security. 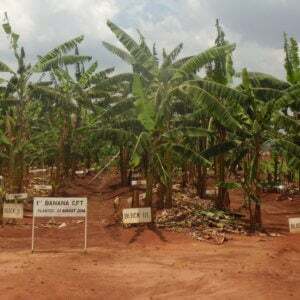 Dr. Brigitte Uwimana, a banana breeder with IITA, explains that scientists obtained a wild variety called Calcutta containing two copies of each chromosome which was improved to obtain a tetraploid which has four copies of each chromosome. This is done to obtain more seed which can be used effectively in the breeding process. Development of the popular M9 hybrid required the team to employ a time-consuming series of crosses. At each step, the produced seeds were cracked in a tissue culture lab to allow their embryos to be extracted and cultured. After field evaluation, the strongest performers were crossed again. The final product, released by NARO as M9, was dubbed “Kiwangaazi” for its taste and stronger yields. The same procedure has been used for a range of hybrid varieties, though the process has been tedious, Uwimana said. The other concern is that the taste of the hybrids vary from the traditional crops. This factor can discourage farmers from adopting the new seeds. The current advantage of conventional breeding is that there is no law binding release of these banana varieties and this has enabled us to reach out to farmers who are already growing them. But there is a huge challenge in application of conventional breeding because things are done randomly and as a scientist you end up developing a product with characteristics which are not required. Genetic engineering offers the opportunity to build in resistance to a particular disease, while leaving other characteristics of the plant intact. In the case of the cooking banana, for example, the taste would not be altered. But that ability to introduce disease or pest resistance offers a major advantage over conventionally bred crops. 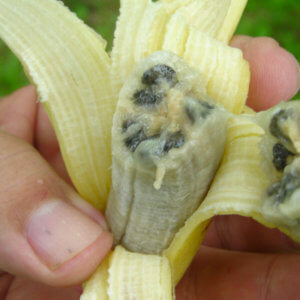 That why the hybrid bananas, while offering a improved yields, remain susceptible to banana bacterial wilt. Yet there are more significant challenges facing genetically engineered crops, because of an uncertain legal and regulatory environment, he said. His team has been working on bananas resistant to bacterial wilt, black sigatoka, nematodes and weevils. Those varieties have been tested and are essentially ready to be commercialized. 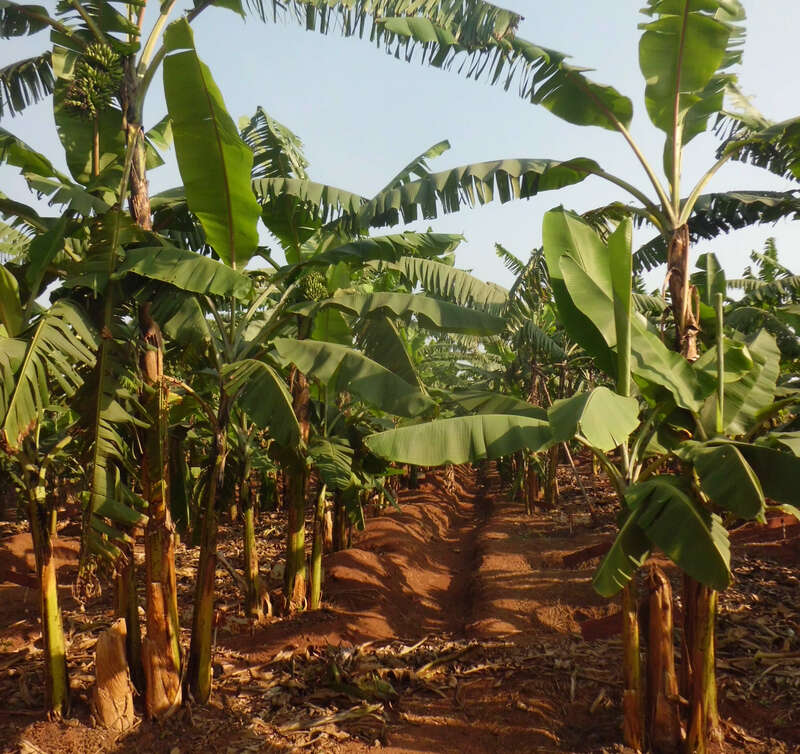 Currently Kubiriba’s team is testing about 100 hybrid varieties in farm trials in different banana growing regions in the country, with hopes of releasing them within three years. The statistics indicates that the yield rate for traditional cooking banana varieties is 25 tons per hectare but this has been doubled to 50 tons hectare with hybrid varieties. And while advances have sped up the conventional breeding process – from 20 years to seven years – he said scientists need both conventional and genetic modification to develop products that will satisfy the needs of various farmers.